Once part of a suit with breeches of the same fabric and a waistcoat, probably of a pale coloured silk embroidered in a design relating to that of the coat, this coat would have been worn on the most formal occasions such as an appearance at court, when aristocratic and well connected subjects paid their respects to the monarch. These court suits were accessorised with swords and chapeaux bras. 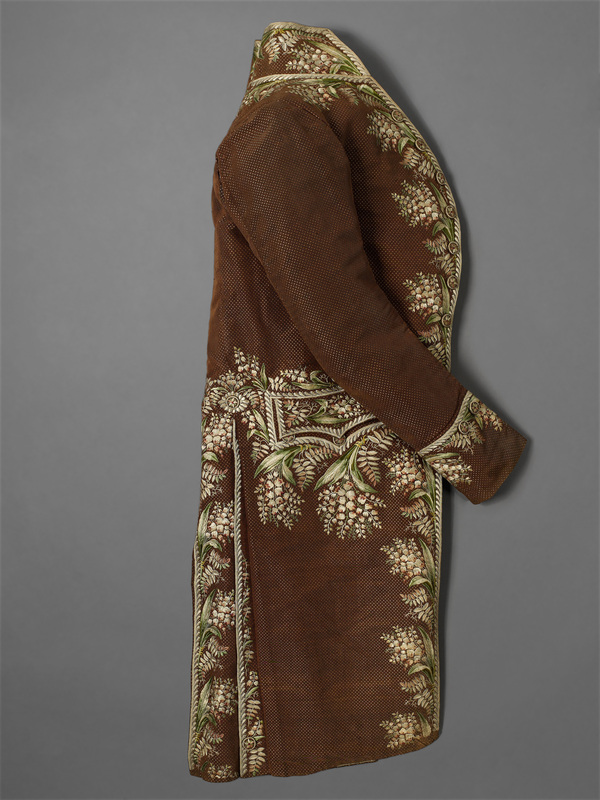 The focus of the coat is its spectacular – and expensive – embroidery, depicting botanically accurate lilies of the valley in silk thread carefully shaded to produce a lively three-dimensional quality, particularly evident in the way the leaves turn over at the front of each spray. Embroidery of this quality was professionally worked on fabric upon which the tailor had already marked out the pattern pieces along with the collar, cuffs and buttons. 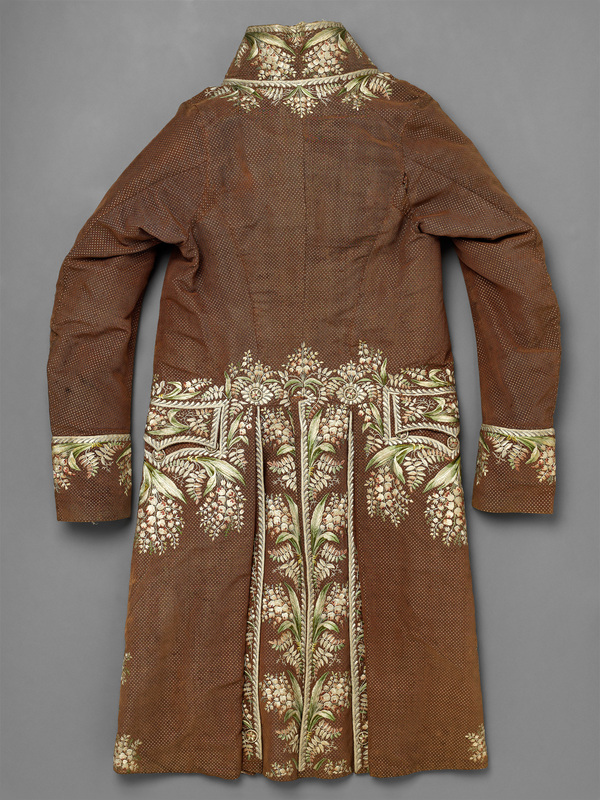 Once the embroidery was completed the fabric was returned to the tailor to be made up. 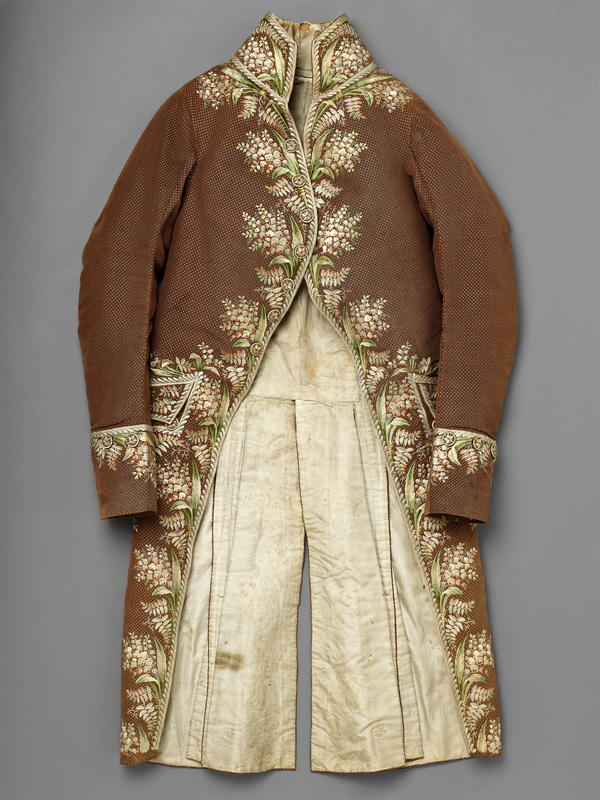 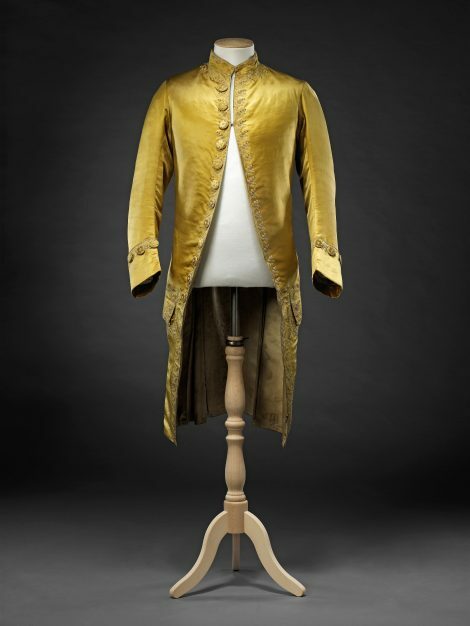 By the late 18th Century a sumptuous formal garment such as this had diverged dramatically from the fashionable norm for coats which favoured the restraint of unadorned fabrics such as wool in dark colours that did not match waistcoat or breeches. 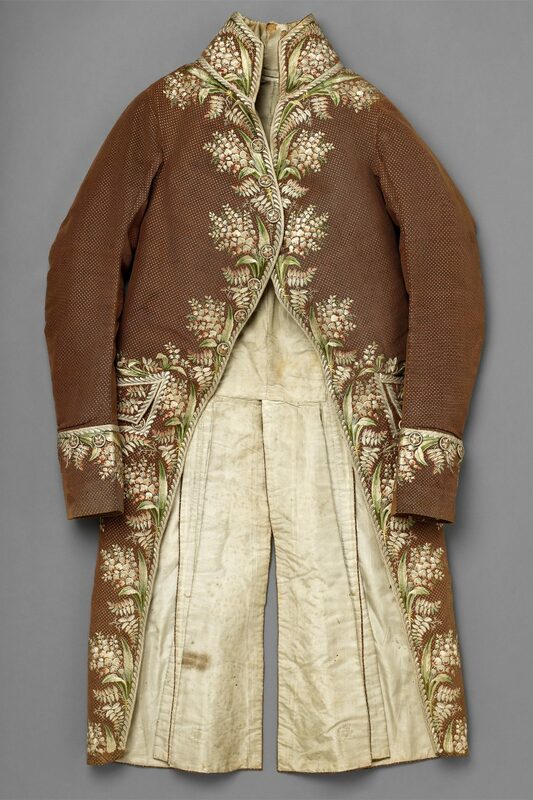 It was indeed its swansong, as by the early decades of the 19th Century the rich embroidered velvets of court suits had given way to plain dark woollen cloth, their ornamentation restricted to fossilised embroidered waistcoats in 18th Century style. 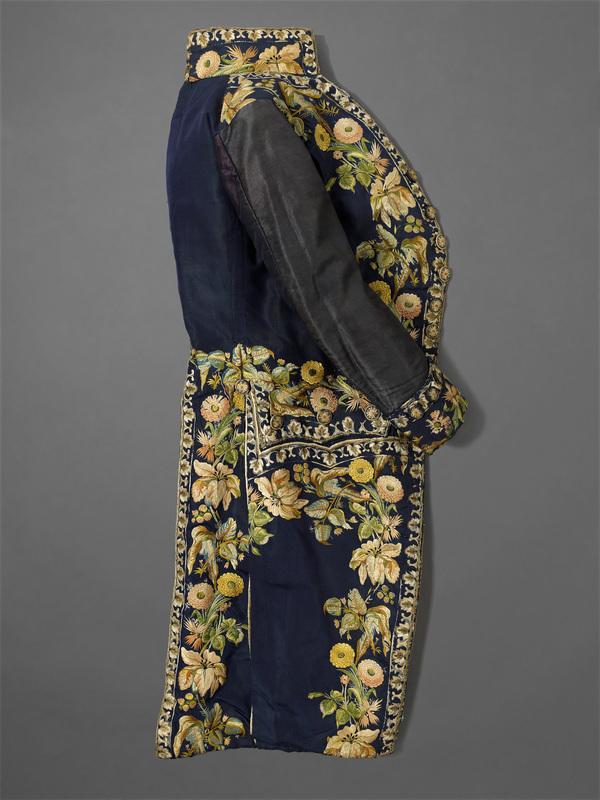 An Additional shows a similar late 18th Century court dress coat of embroidered blue silk that has had its sleeves replaced at a later date.